Now, I know I’m probably not entitled to brag about this. 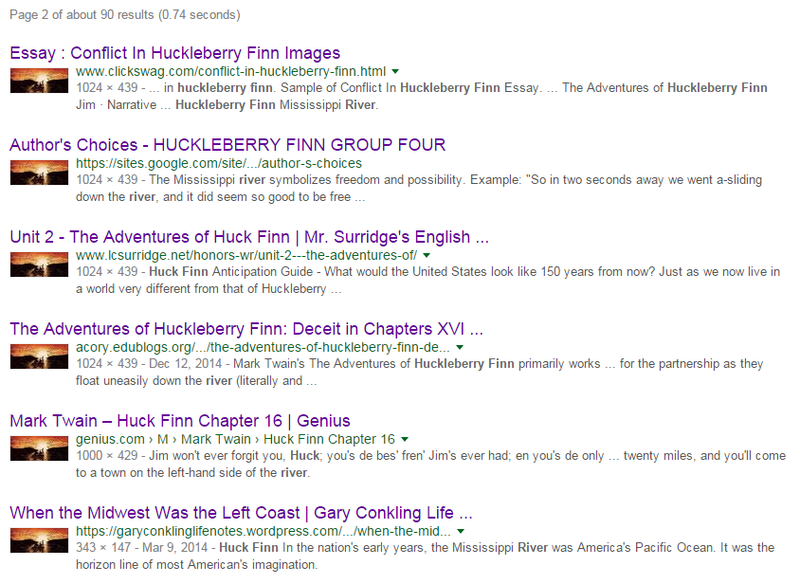 The original illustrator of the Huckleberry Finn book cover deserves that credit. However, I find it fascinating how contagious image reproduction can be, online, and wonder how many users my illustration has reached over the last eight years. I’ve always believed that an artist—commercial or fine—assimilates pre-existing works and the defining difference between plagiarism and inspiration is the point of departure. Does the piece build upon or contrast with the concept from the original? Does it contribute to the theme or provide an alternate perspective to the viewer? Does it stand on its own without requiring reference to the original? I like to believe my interpretation of the iconic scene is more inspiration than plagiarism. I’m curious what you think of this illustration and the way it has been reused in the 24 applications, below. I like to think he knows his reward is simply being my friend.